Christmas is a timely reminder to spend quality time with family especially if you're on the road much of the year. This festive season, I continue my search for the "Best of Xmas" to help readers and myself find the best ways to create precious moments and put smiles on the faces of loved ones. Buying Xmas gifts for family members and friends who are golfing enthusiasts in Melbourne has been made easier with GolfTec. 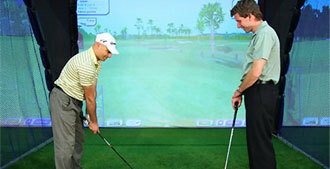 I spoke with director Sam Letourneau about his various golf lessons and simulation packages. In addition to his existing packages, Sam has organised a special Xmas offer for all Weekendnotes readers which includes 30 minutes of GolfTec lesson, 30 minutes of simulation play and a cup of barista-made coffee. Sam explained that the typical 30 minute GolfTec lesson will begin with a coach first finding out about your golfing history, and what you would like to achieve with your game. Together, you'll establish a plan and set about improving your swing. 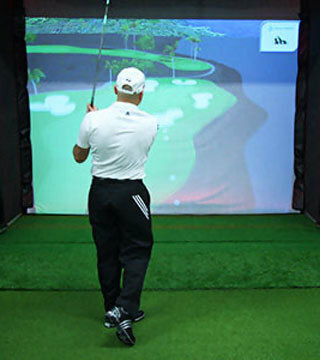 You'll hit shots on the hi-tech ball flight simulators and have your swing videoed from different angles. Together with your golf coach, you'll view your swing on the latest V1 or Motion View swing analysis software, identify faults and then work to correct them. 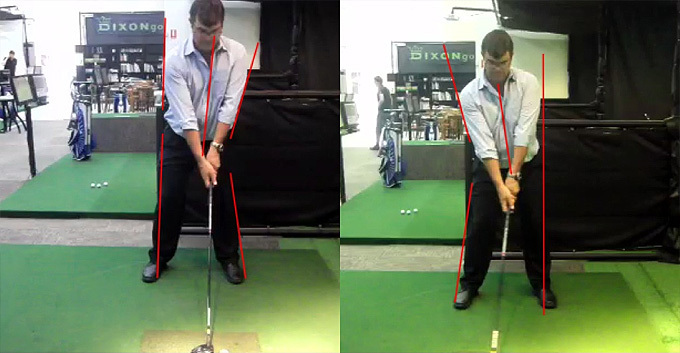 At the conclusion of your lesson, by watching the change in your swing on video, your coach will show you how to practice the improvements and make it permanent. You will then be emailed either video of your swing, PDF screenshots, or notes to keep you focused when practicing. After the lesson, enjoy a cup of java in the GolfTec cafe before practicing your new swing in your 30 minute simulator session. During this you'll be practicing in Australia's only hitting bays that provide Computer Video Replay of every swing you make with On Screen Analysis, plus Real Time Ball-Flight Tracking using the latest Hi-tech golf simulators. You can use the driving ranges, short game areas or play one of 120 famous courses from around the world. [ADVERT]Instead of the usual $85, this Xmas offer from Sam is specially available at $60 to Weekendnotes readers. You can purchase up until 4pm on Sunday, 23 December 2012. You must mention "Weekendnotes" to purchase this special offer. You will be snail mailed or emailed a 30 minute E lesson voucher and 30 minute E simulator voucher, or provided with GolfTec vouchers if you purchase this special offer in-store. Simply visit the GolfTec store, call GolfTec on (03) 9650 9766, or email to goahead@golftec.com.au to make your purchase.